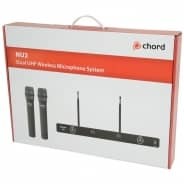 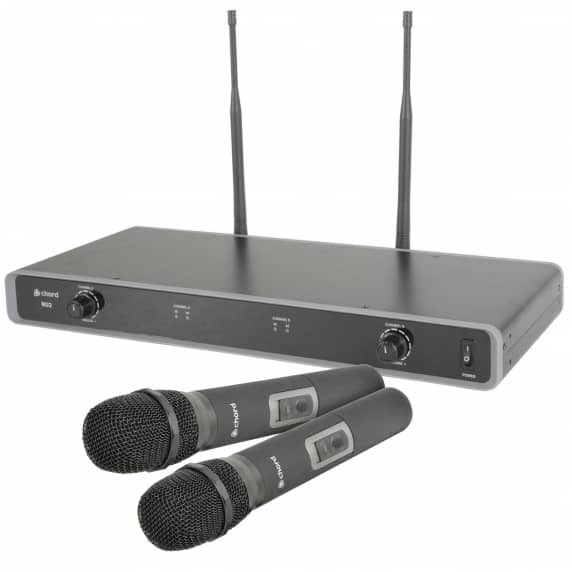 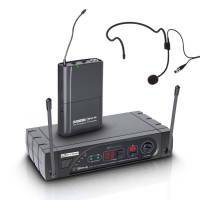 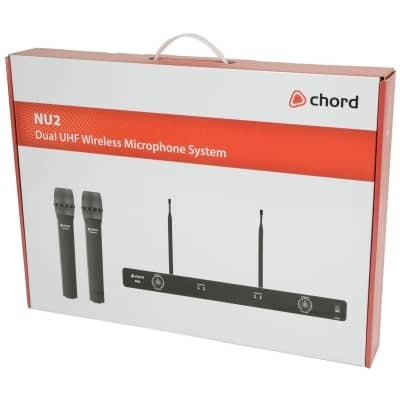 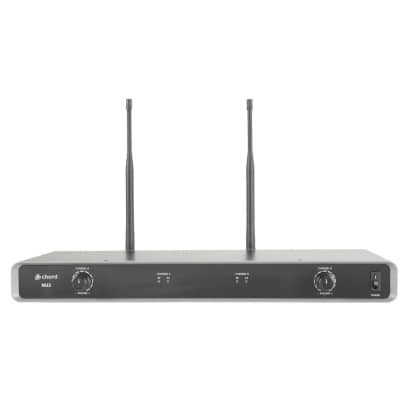 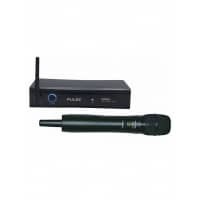 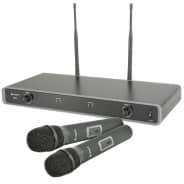 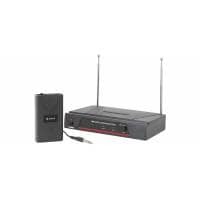 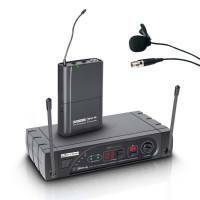 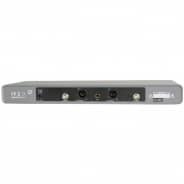 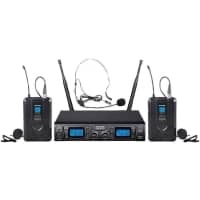 The NU2 from Chord is a wireless microphone system with fixed UHF receiver and 2 transmitters. 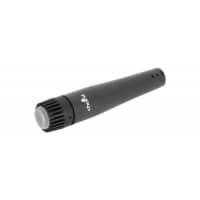 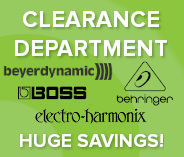 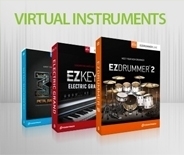 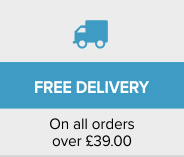 Available with either handheld microphones with high quality vocal capsules or bodypacks supplied with a choice of neckband and lavalier microphones. 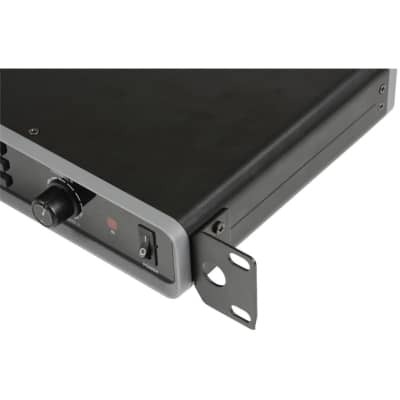 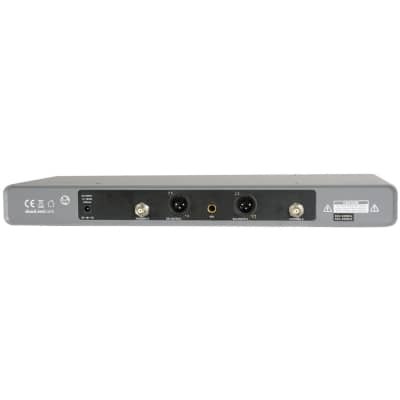 the receiver unit is compatible with standard 19" racks using the included rack ears and front mounting antenna accessories.